Payday filing became optional for employers on 1st April 2018, and it will be compulsory from 1st April 2019. Payday filing means filing your employment information on/after each payday instead of filing an Employer Monthly Schedule (IR348) every month. The due dates for your PAYE payments and methods of payment do not change – only the filing of employment information is changing. You will need still to complete and file an Employer Deductions Form (IR345) and make your payment every month. 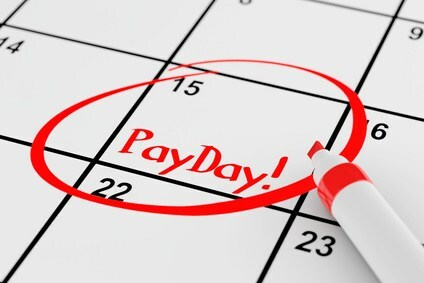 Payday filing cancels out the need to complete and submit the Employer Monthly Schedule (IR348). If your business’ PAYE/ESCT amounts to $50,000 or more per year you must file electronically from 1st April 2019. If your business’ PAYE/ESCT is less than $50,000 per year you have the choice of payday filing on paper from 1st April 2019. Begin payday filing from the beginning of a month as your final IR348 must cover a full month. Payday filing requires you to file your employment information within two working days of paying your staff, or within 10 working days from 1st April 2019 if you choose to file on paper. You will need to provide IRD with details for new employees and departing employees. These include the employees’ start dates, addresses and dates of birth. These details must be supplied to IRD before the new employee’s first payday. These details are not required for existing employees. If you pay different employees at different times, for example some weekly and some monthly, you will still need to file the employment information within two working days of paying them. This means filing within two working days of the weekly payday and within two working days of the monthly payday. Direct from your accounting software if this function is supported by the software. You elect to use payday filing within the software. There is no need to opt in to payday filing within your myIR account. Opt in to payday filing within your myIR account, which creates a Payroll returns account in the ‘My Business’ section where you can upload your payroll information. Again, this function needs to be supported by your accounting software. Opt in to payday filing within your myIR account (onscreen filing), which creates a Payroll returns account in the ‘My Business’ section where you can enter your payroll information into. Onscreen filing is similar to the current process for filing your Employer Monthly Schedule (IR348). This is suited to smaller pay runs. Please contact us if you have questions regarding payday filing and how it applies to your business.